In today’s customer-centric world built around convenience and long-term relationships, SaaS companies realize that billing and payments are not only critical to the customer experience, but also revenue growth. cleverbridge, a provider of ecommerce and subscription billing solutions for monetizing digital goods, online services and SaaS, announces it has been named a finalist for three 2018 SaaS Awards. 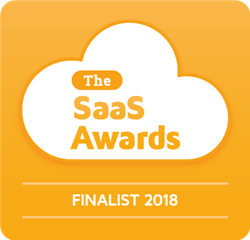 cleverbridge is a finalist for Best SaaS Product for Ecommerce, Best Enterprise-Level SaaS Product (non-US) and Best SaaS Product for SMBs (non-US). Winners of the awards for excellence and innovation in SaaS will be announced on August 28. Now in its third year, the SaaS Awards attracted more than 300 entries from North America, Canada, Australia, U.K. and EMEA. Finalists and winners are selected by a judging panel of international industry experts, representing a mix of technical, business, academic and marketing expertise. This is the second consecutive year cleverbridge has been named a Best SaaS Product for Ecommerce finalist, which recognizes software services that have proven success in business improvement (e.g., increased efficiency, sales, conversions, usability, etc.). The Best Enterprise-Level SaaS Product award goes to the best SaaS product for large, enterprise-level businesses, whereas the Best SaaS Product for SMBs recognizes the best SaaS product for small businesses – both awards are across a broad gamut of possible applications. cleverbridge was named a 2018 European IT and Software Excellence Awards Finalist (Small- and Medium-sized Enterprise Solution of the Year); 2018 Cloud Excellence Awards Finalist (Cloud Integration Product of the Year); 2017 V3 Technology Awards Finalist (Best Business Application); and named an Accel EuroScape Top 100 Most Promising SaaS Company in Europe. The company was also named a 2016 SIIA CODiE Awards Finalist (Best Subscription Management Solution) and identified as a “High Performer” in the G2 Crowd Grid for Ecommerce Platforms, based on customer satisfaction and market presence. To view the 2018 SaaS Awards Shortlist, visit http://www.cloud-awards.com/2018-saas-shortlist. To learn more about cleverbridge, please visit http://www.cleverbridge.com/corporate/grow-recurring-revenue-video. cleverbridge provides ecommerce and subscription management solutions for monetizing digital goods, online services and SaaS. Our cloud-based ecommerce platform simplifies recurring billing, optimizes the customer experience and offers comprehensive global compliance and payment capabilities. Leveraging cleverbridge expertise, technology and services, our B2C and B2B clients acquire more customers, improve retention and grow their revenue in international markets. cleverbridge is headquartered in Cologne, Germany with offices in Chicago, San Francisco, Tokyo and Taipei. For more information, visit http://www.cleverbridge.com.